Hello to you all and a warm spicy welcome to the official Curry Pot Kitchen trader profile page. We are a unique mobile catering service bringing to you exquisite and authentic curry dishes from India and the Indian subcontinent, and southern region of Asia including Bangladesh, Nepal, Sri Lanka, Bhutan, Pakistan & Maldives. We use only the finest of ingredients and spices and locally sourced food. 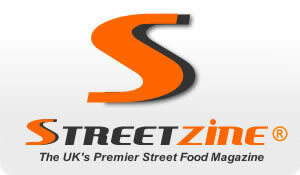 Our aim is to bring to the public, genuine, tasty & authentic Indian street food available with a modern twist. All of our ingredients we use to make our curry dishes are from locally sourced suppliers which are of premium quality. We pride ourselves in helping support local traders and traditional family run businesses and our local community. All of our spices we use are of the finest quality available and are sourced direct from India & Asia courtesy of Small spice & herb. Premium cuts of chicken, Beef and Lamb is sourced from Philip Dennis food services & we obtain all of our fresh vegetables from long established local food supplier John Patts. We also use our own home grown varieties of tomatoes, chillies and herbs when in season. With our unique custom made trailer we are able to offer you a mobile catering service for any type of event or function including weddings, festivals, parties and corporate events. We prepare and freshly cook all our dishes from our specially adapted trailer and also offer a selection of Indian cold drinks to wash down your delicious curry. Totally authentic Indian cuisine + some recipes handed down from generations guaranteed to make your mouth water. We have been trading since October 2016 and are now taking bookings for Weddings, events, private parties and festivals within a forty mile radius of Barnstaple, Devon. We offer something different from your average curry dish. All of our base sauces are made by traditionally grinding fresh spices by pestle and mortar and are made from scratch using only the finest of ingredients available. Some recipes are well over one hundred years old and have been passed down from generations of families from Indian & Asian descent. They really do taste unique and taking these recipes and tweaking them with a modern twist is our secret weapon!. To book us or find out more, please get in touch via any of the contacts listed below..